Established in 2011 Empyrion is on the rise to spread the crushing truth about humanity’s prospects and poisonous nature – in music and words. The band plays a blend of dark raw death and black metal – or blackened death metal – with technically conceived riffage, pulsating bass, fast drums, massive keyboards and more than brutal vocals. In August 2012 Empyrion agreed on a record deal with Gothoom Productions and released their „Mindshifter“ debut album on 14th December 2012. The album was recorded and mixed in Roland Grapow’s studios in Zvolenska Slatina. 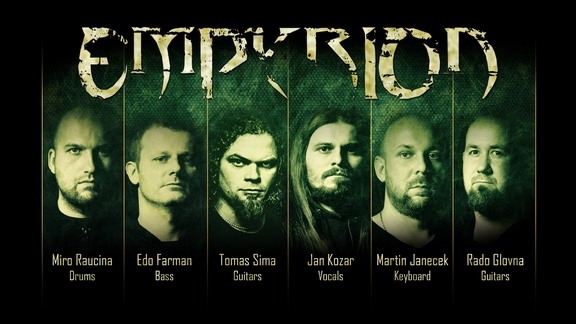 Tomas Sima replaced in February 2014 the founding member Juro Glovna (Guitar).